Margaret Allan, Pharmacy Dean at Health Education and Improvement Wales, has been awarded the title of Honorary Professor from Cardiff University. Margaret received the title from the School of Pharmacy and Pharmaceutical Sciences for her passion and leadership throughout a successful career in pharmacy. On receiving the award, she said, “I am exceptionally honoured and humbled to have been made an Honorary Professor of Cardiff University School of Pharmacy and Pharmaceutical Science. It is particularly special as the Head of School, Professor Mark Gumbleton, and my fellow professional colleagues were instrumental in supporting this honour, which means a so much to me. A pharmacy graduate from the university, Margaret developed a broad range of skills in direct patient care from pre-registration in University Hospital of Wales, community pharmacy, prescribing advisor, leadership roles in community pharmacy and a career in education and training. Margaret spent 15 years in Wales Centre for Professional Pharmacy Education (WCPPE) in a number of roles - first as a tutor and finally as Director. In 2014, she became a fellow of the Royal Pharmaceutical Society. This year, Margaret had the privilege of becoming the first Pharmacy Dean in Wales, leading a new chapter for pharmacy and health education as part of the newly formed Health Education and Improvement Wales (HEIW). Professor Gumbleton, said: “The School is proud to recognise Margaret and acknowledge her leadership as the former Director of WPPE in developing the pharmacy workforce in Wales. “Her new role as Pharmacy Dean within HEIW comes at a time when pharmacy practice is experiencing a significant transformation. These changes will require excellence and innovation in the education and training of pharmacy professionals. 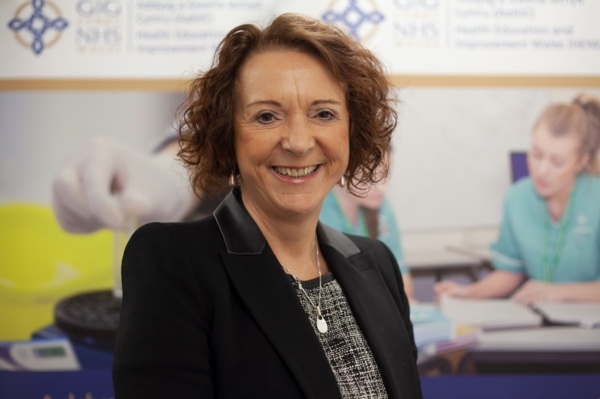 It is here that Margaret’s expertise will be critical in developing strategy and consolidating working relationships between HEIW, NHS Wales and the Welsh university sector ultimately leading to improved patient outcomes." She said: “I would never have thought as a young newly registered pharmacist that I would be where I am today. I hope that my journey inspires the current undergraduates, registrants and pharmacy teams to realise that anything is possible if you grasp the opportunities presented to you, take chances and learn from mistakes. Sitting alongside health boards and trusts, HEIW has a leading role in the education, training, development and shaping of the healthcare workforce in Wales. Its key functions include education and training, workforce development and modernisation, leadership development, strategic workforce planning, workforce intelligence, careers, and widening access.